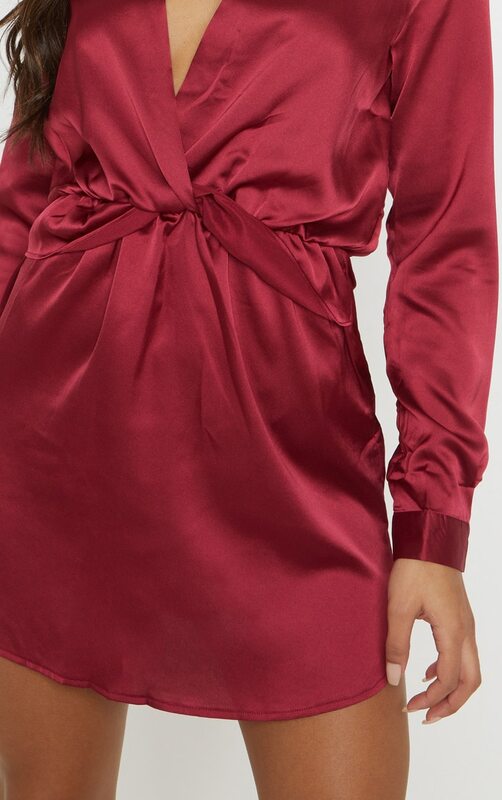 Ensure your look is contemporary and fresh this season with a twist front silky style plunge shirt dress. 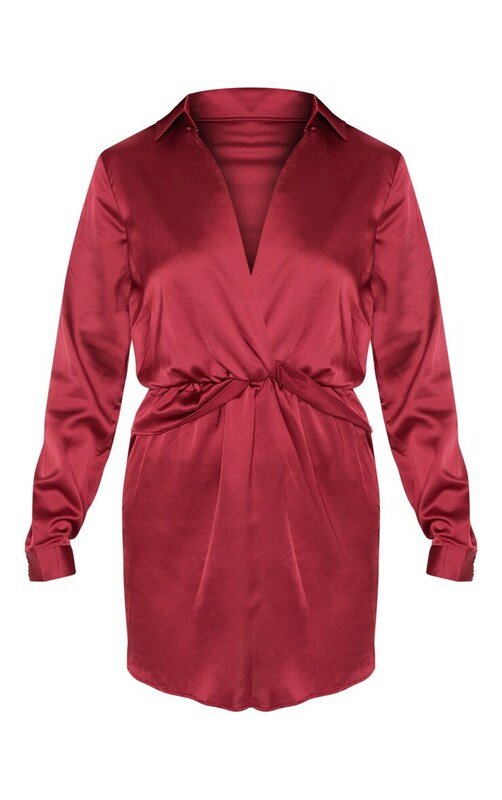 In lightweight fabric, this relaxed fit dress can easily be dressed up or down. For a lust-worthy look style with a pair of killer heels.